We are a small company that prides itself in affordable, quality workmanship and service. Any advice is free, just give me a call on 07703 253808 (8am – 6pm please). All work is insured and backed by a six year guarantee provided by ‘Napit’ and we endeavour to complete all work to your highest expectations. All work is subject to a site survey and detailed discussion before any work is undertaken. We can offer a full and comprehensive service, whether it is a light bulb replacement or a full rewire of your property. We have been trading for approximately 12 years now, and in that time we have completed all electrical update exams and are fully compliant to the latest edition of BS7671 (17th edition) which includes testing of any third party installation work. Highly Recommended - As well as being an excellent electrician, Colin is reliable and friendly, has an excellent work ethic and has just masterminded the complete refurbishment of my kitchen and downstairs bathroom. I wouldn't hesitate to recommend him for any job big or small. 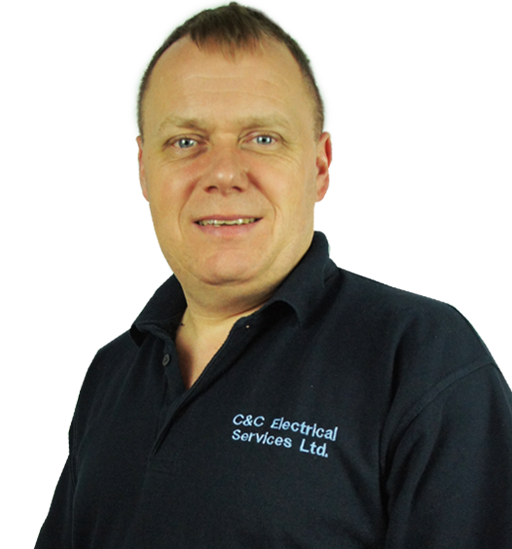 It has been a pleasure to have Colin carry out electrical work for us over the last 10 years - small jobs and larger projects. Colin's down to earth and friendly approach has given us reassurance and sound advice. Works have always been carried out to a high professional standard and with minimum fuss and inconvenience. I have happily recommended him to friends and family. Colin is an absolute star. He completed an electrical rewire for us during our house renovation, which was a huge job. We realised very early on that Colin had exceptional expertise - any problem he came across he was able to swiftly rectify & he made suggestions about things we'd never even thought of! He kept us informed every step of the way, was very trustworthy, honest & delivered an excellent service. He often went beyond the call of duty to help us out throughout the long period working at our house. We'd recommend Colin to everyone we know... in a nutshell, he was simply fantastic! Thankyou very much for doing a good job. We are very pleased with your work and have no hesitation in recommending you. Many thanks for the considerate way in which you have completed the re-wiring. If you have any questions, need advise or require a free, no obligation quotation, please contact me via the this contact form, via email or telephone. I am a Worthing based electrician. I have over 12 years experience and I pride myself in affordable, quality workmanship and service.